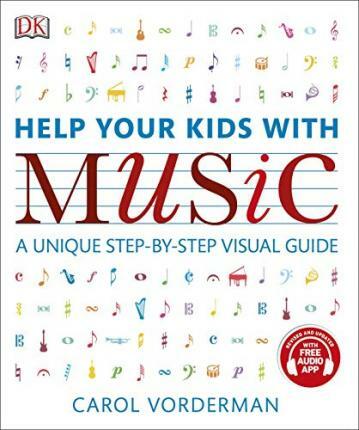 Reduce the stress of studying music and help your child with their homework, Help Your Kids with Music is a unique visual guide to music theory which will demystify the subject for everyone. Including the latest updates to the UK National Curriculum, covering everything from semitones and note values, to harmony and music appreciation, Help Your Kids with Music helps you work through music step-by-step. Using clear, accessible pictures and diagrams you'll learn to approach even the most complex musical theory with confidence. Includes a glossary of key musical terms and symbols. Help Your Kids with Music is the perfect guide for every parent and child, who wants to understand music theory and put it into practice. 1: What is a tune? 11: What is the score? Carol Vorderman, one of Britain's best known and loved TV personalities, feels passionately about the value of education. Carol joined forces with DK in 1999 to become DK's Education Champion and has worked with them to build the bestselling Made Easy Series which includes Maths, English and Science.